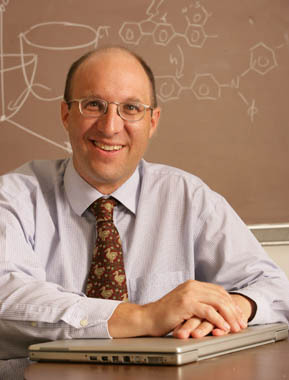 Eric R. Bittner, associate professor of chemistry in the College of Natural Sciences and Mathematics at UH, was among 189 scientists, artists and scholars named 2007 Fellows by the John Simon Guggenheim Memorial Foundation. Bittner received his honor for his studies of quantum dynamics in molecular electronic devices. He was one of only two chemists in the United States and Canada selected for a fellowship this year. A high-resolution photo is available by contacting Lisa Merkl at lkmerkl@uh.edu or 713-743-8192.